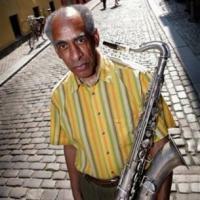 Join WKCR as we preempt 24 hours of regular programming on Tuesday, October 9th, 2012 to celebrate the life and music of one of the towering figures of free jazz, Danish-born saxophonist John Tchicai, who passed away on Sunday. Born on April 28, 1936, Tchicai cut his teeth in Copenhagen. By 1963, he had made the rounds of the Northern European jazz scene. He then came to New York, just ahead of the shake-up jazz would receive at the hands of the October revolutionaries. Tchicai’s instrumental voice, a fleet, biting, and beautiful alto, took a lead role in many cornerstone recordings of the music that followed in the revolution’s wake. While playing with Archie Shepp and Don Cherry in the New York Contemporary Five and at the same time forming the New York Art Quartet with Roswell Rudd and Milford Graves, his compositions and saxophone laid the foundation for the conception of a genre to be labeled “free jazz.” His solos on the two editions of John Coltrane’s seminal “Ascension” stand as the capstone of his work in this context. By 1966, Tchicai had returned to Denmark, where he would become a catalyst for free improviser from Germany, Denmark, and his home country. Never ceasing his composing, Tchicai has numerous releases leading groups of younger players, while he also joined forces with people like Johnny Dyani and Cecil Taylor. He also became a close collaborator of Danish guitarist Pierre Dorge. By the time he moved to California in 1991, Tchicai had made the tenor saxophone and bass clarinet his horns. However, his playing remained supple and fiery in equal measure. Though he returned to Europe around the start of the new millennium, settling in France, he struck up musical relationships with Americans like guitarist Garrison Fewell. Just last summer, Tchicai appeared here in New York at Vision Festival XVI, performing a tribute to Coltrane’s “Ascension” some 46 years after its recording. He remained, until the end, an artist looking to express himself in all forms of music.